I found this book on the floor of the BEA exhibit hall. Somebody's mistake led to me reading a book I would have never picked up for myself. 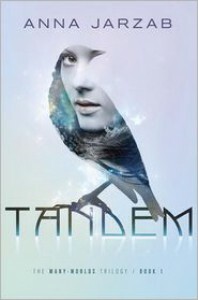 Tandem is the story of a girl who is pulled into a parallel Earth to stand in for a missing princess. I usually stick to dystopian/sci fi novels so a story about parallel universes and princess is outside my norm. Sasha is a great character. 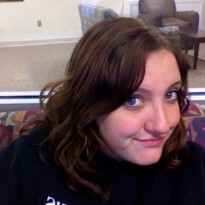 She's a mix of strong and weak traits (too many authors lean to one side and humans are always a mix). One of the other reviewers stated that Sasha cried too much. I don't think it was that much. If you were kidnapped and taken to another universe…you'd cry a bit too! Other authors would have gotten lost in exposition but Jarzab kept the plot moving. I had to take off a star because Tandem fell into the cliche of a love triangle and trilogy.